So, with the warm temps here (46°F! ), I decided to at least put up my icicle lights. On one of my four strings, only half were on. 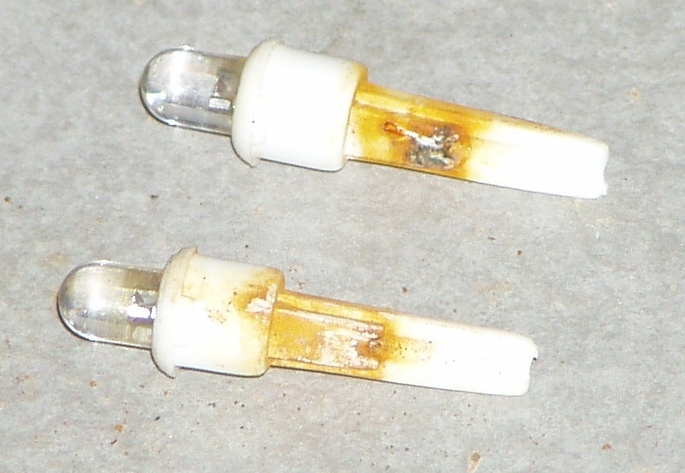 Turns out it was bad LED's. Not blown out, of course, but corroded! These were Philips strings purchased from Target maybe two years ago. Hopefully, they figured this out quickly. I also decided to replace the metal weatherstripping on my drafty kitchen door that leads to the garage. What a pain! I picked up some nice, silicone rubber strips but found that the door is bowed, so the gap goes from 1/16" at the latch to about 1/2" on the top and bottom. I went back out and picked up some thicker strips, removed the previously-installed top and bottom sections on the latch side, and replaced them with the thicker stuff. Note to self: Get a new door when it gets warm!